The definition of healthcare has become incredibly diverse since the turn of the century. It feels like it used to be quite simple – it was about a linear relationship between patients, doctors and drugs. The pharma companies made drugs that could help patients and spent lots of time telling doctors which drugs to give to who. Then payers came along and started scrutinising how much was being spent on those drugs. Then the internet exploded into life and everyone started finding information online and speaking to everyone else, so those simple relationships were fractured. Then technology advanced further and digital health threw everything further up in the air and challenged the very concept of medicine. But, by and large, the structure of a typical pharmaceutical company has remained pretty much the same through all this change. For sure, innovation teams are being added left, right and centre, but the same pillars of R&D, sales, marketing, communications etc. stay the same. It’s because wholesale structural change is difficult for big companies in every industry and the external environment is moving at a pace arguably quicker than they can keep up with. But what if you designed a big pharma company from scratch based on the current world? What if we threw it all out and started again with pharma 2.0? It’s an interesting thought experiment I often find myself thinking about and discussing with others, so here’s my current view. I’m going to caveat this with two assumptions. Firstly, I’m only looking at this on a global level, not local or how countries interface with global and regional. Secondly, I’m assuming that operations still focus around therapeutic areas as now (which many would say needs to change). That might be cheating slightly, but let’s keep it manageable for now. My pharma company 2.0 would be focussed around three core operating units – therapeutic area interventions, product development and central operations. At the core of the new pharma company would be the therapeutic area intervention teams – business units structured around different disease areas, such as diabetes or oncology. This might sound familiar, but the structure would look very different. Each therapeutic area intervention business unit would be headed by someone steering the overall vision for the disease, spanning both R&D and commercialisation, and critically covering the entire patient journey. Their perspective would therefore encompass diagnostics, devices, drugs and digital health (the four ‘d’s at the heart of new pharma). They would have two key divisions reporting into them – customer story and customer engagement. The customer story team would be headed by an overall ‘editor’ for the therapeutic area, who defines the end-to-end narrative, from disease level right down to product detail. They would have in turn specialist teams who help shape the specific aspects of the story for medical professionals, patients/patient advocates, payers and partners/prospective partners. The old divide between brand communications and brand marketing would be gone – both aspects being covered by this team, which would have cocreation with customers at the core of the story. This cocreation would span ongoing customer input into the story, development of coproduced content and partnership to publish above brand elements on external customer channels, in areas of alignment of message. The customer engagement team would be the field specialists, again divided into those focussed on medics, patients/advocates, payers and partners, who would be the physical interface with the customer, orchestrating both physical and virtual interactions. In a sense, these individuals would be the ‘multichannel rep’ of the future, but with deep focus on specific customers, and less overall focus on just the doctor. Understanding patient experience, from every angle, would be core to how this team operates and engages, plus how it interacts with the partnering and product development teams to address critical gaps in unmet needs. The purpose and story would be consistent, irrespective of who it came from in the company or who it was communicated to. 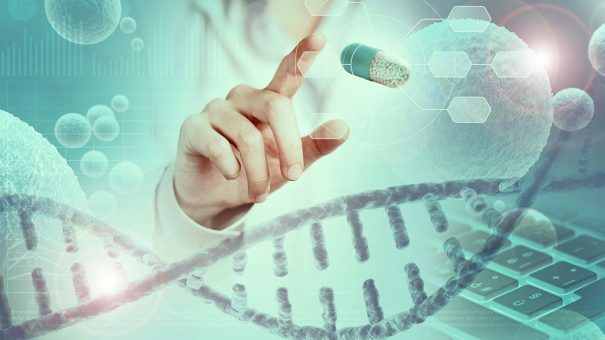 The product development team would still encompass the smart scientists and preclinical / clinical approaches that we see for current drug R&D (albeit accelerated by new technologies), but would also include, at least for the larger companies, specialist development teams also focussed on diagnostics, devices and digital health. Some companies would choose to have minimal, or potentially zero activity in-house in some of these areas and would then lean more heavily on collaborations with external partners so as to provide the full suite of services to patients, rather than just medicines. Any company that decided to only focus on a few of these areas would find itself at a disadvantage in truly improving the patient experience, falling victim (as some pharma companies do now) to the old adage of ‘if all you have is a hammer then everything looks like a nail’. Drugs would remain critically important but with a more balanced focus across all routes to improving outcomes. Again, deep understanding of the patient experience and early and continual input from patients in all areas of development would be a mainstay of operations, to ensure the ‘products’ ultimately meet market needs. The product development team would also interact regularly with the therapeutic area interventions team (both customer story and customer engagement elements), to get early real-world commercial input into all R&D. Central operations would continue to house many of the functions that we recognise today – C-level leadership, corporate communications, finance, legal / compliance, manufacturing / operations, HR / recruitment and IT. However, certain aspects would look a little different. Firstly, a Chief Insights Officer would oversee all data and research, working closely with the therapeutic area interventions and product development units to build the most comprehensive patient experience maps and deliver specific research needs in bringing new interventions to market and communicating their benefits. The Chief Insights Officer would also oversee the company’s data repository and be responsible for external data provider partnerships to deliver a single and most robust source of the truth. The central partnering team would resemble current drug business development and licensing operations, but again encompass all areas of intervention, including diagnostics, devices and digital health. Based on the unmet needs identified in the patient experience map, these teams would accelerate internal product development and plug gaps with external partnerships to deliver 360-degree solutions more rapidly. Finally, the central team would house leads for stakeholder engagement across the four key customer groups of medical professionals, patients/patient advocates, payers and partners, with their role being to maintain the highest-level relationships here and keep on top of changing needs and channels for connectivity. Some of the above elements will look familiar, and some are definitely the direction of travel for current companies – but change in large organisations is hard so it will take time to get there. It’s equally hard to build a big pharma company from scratch, but if I did it would probably look something like the above. So there you go – that’s my pitch to an investor if I was building a business plan for the next-generation pharmaceutical company. I’ll just wait for the call from Amazon’s Jeff Bezos….